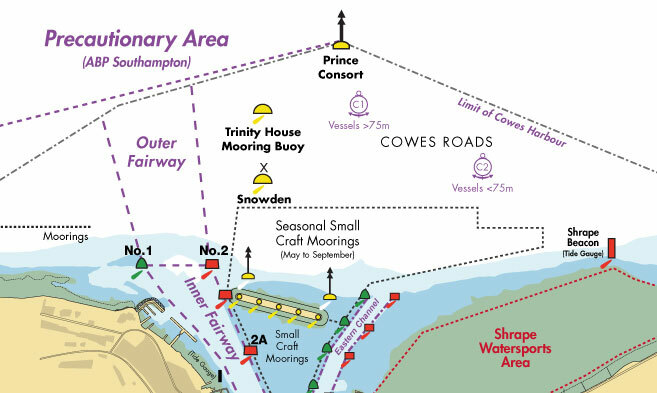 Notice is hereby given that from 1st January 2017, the Admiralty Tide Tables will give the time of High Water Cowes that corresponds to the beginning of the High Water period, rather than the peak High Water time. 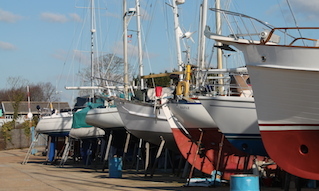 The timing difference between the beginning of the High Water period and the peak High Water time is generally small on spring tides, but can be significant on neap tides. 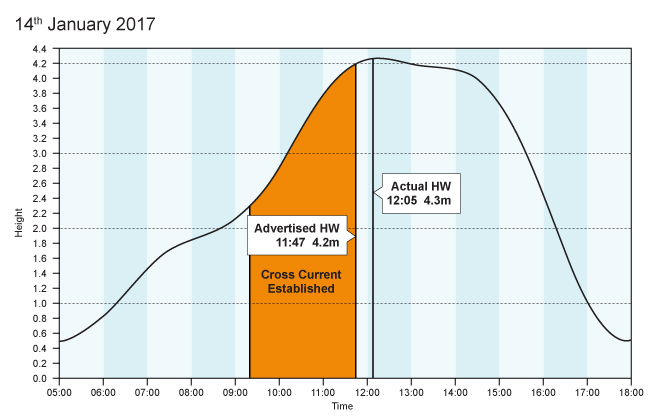 Using this revised methodology, the UKHO will be providing consistency with regards to the advertised High Water time in relation to the tidal curve. 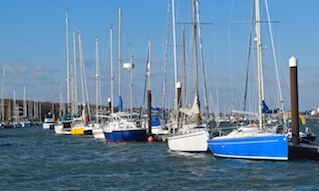 In Cowes, this will mean that the advertised High Water time will now always be at the beginning of the High water period. This will be particularly useful when predicting the time the cross current is established between 2A buoy and 4A beacon. The cross current is established from approx. 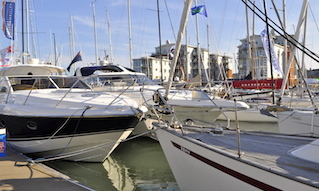 2.5 hours before the advertised High Water Cowes until High water and as described in LNTM 60 of 2016. 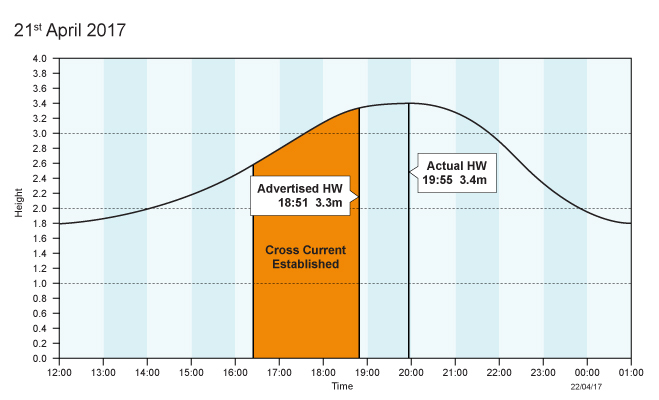 Examples of typical spring and neap tidal curves are shown below, illustrating the difference between the advertised High Water time and the Peak High Water time and the approximate period that the cross current will be established in relation to the advertised HW Cowes.